As far as the fight to contain the spread of deadly Lassa Fever is concerned, Ebonyi State government has its task set out. It needs to convince the people that rats are the carriers of the disease and that they need to stop eating it. In rural Ebonyi, rat consumption is widespread as rat meat is believed to be highly nutritious. The state was one of the areas that witnessed the outbreak of the deadly disease this year, claiming the lives of four people including a medical doctor. The disease has killed an estimated 110 people this year across Nigeria, according to Nigeria Centre for Disease Control. Now, to prevent further outbreak of the disease, the state government is kick-starting a campaign against rat consumption. The Commissioner for Environment, Donatus Njoku, told newsmen on Monday in Abakaliki that the government would explore all avenues to dissuade the citizens from consuming rats. “Rats are the primary vectors of the disease, and we are vigorously carrying out enlightenment through mass media, workshops, seminars and various ministries’ communication channels. 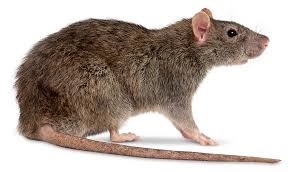 “We will collaborate with traditional rulers and other opinion leaders at the grassroots to educate rural dwellers to shun such a notion and realise that rat is the disease’s primary vector,” Njoku said.